These picturesque places are beautiful and affordable. What do you think of when you think of the country’s West Coast? Perhaps images of gaping vistas along California’s coastline, the lush green landscapes of the Pacific Northwest or the impressive array of state and national parks pop into your mind. Whatever you may think, there’s one word in particular that likely comes to mind: beauty. GOBankingRates looked at five picturesque cities that best highlight the beauty and wonder so often associated with the West Coast. If you’re planning a vacation this summer, consider these picture-perfect spots. 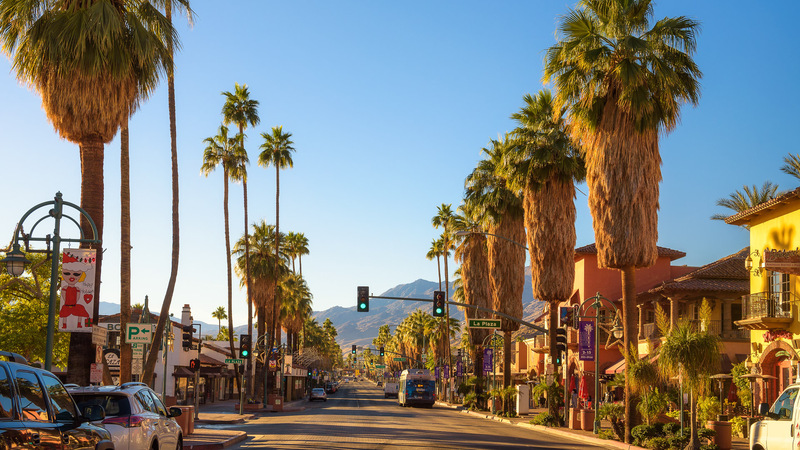 Resting smack in the middle of the Southern California desert, Palm Springs is a warm-weather resort destination that can act as the perfect summer getaway. In fact, it ranks as the best California city to own a vacation home, found a previous GOBankingRates study. And, it’s one of the cities with the cheapest 5-star hotels. Spend your day perusing chic home décor boutiques and eating at hip restaurants in the city’s trendy downtown. Or, head to the nearby mountains to soak in the gorgeous desert views. Mount San Jacinto is a favorite among tourists. Airfare is a little bit pricier than the rest of the cities on this list at $432, but once you’re sitting in the pool taking in the triple-digit highs and sipping on your tiki cocktail of choice, it’s doubtful you’ll be thinking about those extra dollars. 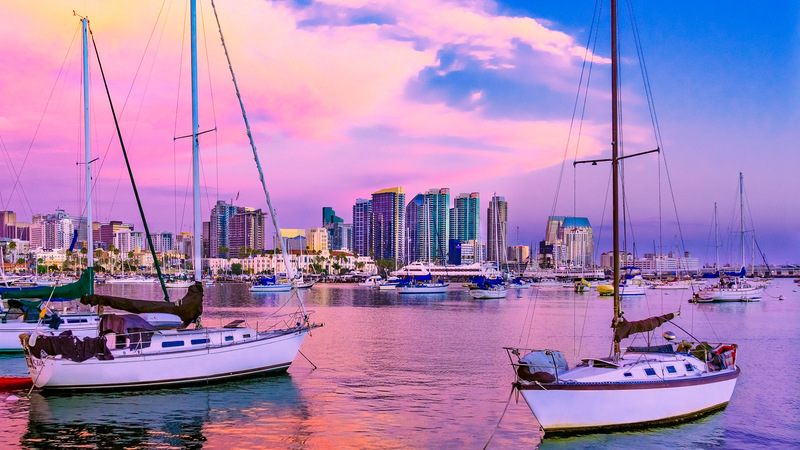 San Diego is another beautiful Southern California city that doesn’t need much of an introduction — the city consistently ranks among the best travel destinations, including the best spring break destinations and summer destinations. Known for its temperate climate and laid-back culture, America’s Finest City is home to some of the country’s best beaches, including Mission Beach and La Jolla Shores Beach, both of which are short drives northwest of the city’s downtown. Visitors should also be sure to check out Balboa Park, considered the “cultural heart” of the city, as it houses some of the city’s most popular attractions, such as the Japanese Friendship Garden and the world-famous San Diego Zoo. If that’s not enough to sway you, consider that airfare is the cheapest among all of the cities on this list. Astoria is a serene port city and the oldest American settlement west of the Rockies. 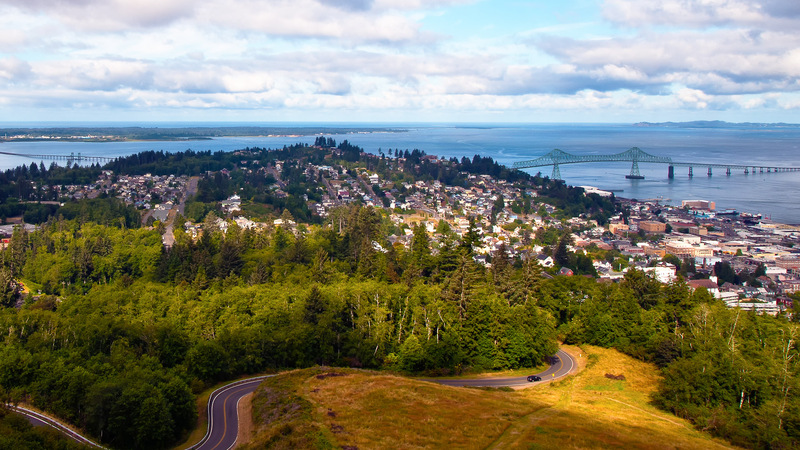 Those who make the two-hour trek up from Portland can spend time at the city’s numerous breweries and museums, enjoy a riverfront trolley or take in the famous sites from films like “The Goonies” and “Free Willy,” which were shot in and around Astoria. Visitors should also check out the city’s most famous landmark, the Astoria Column. The 125-foot tower acts as an observation deck offering grand views of Young’s Bay, the Columbia River and the Pacific Ocean. The tower is also a spectacular mural, with artwork running from the base to just below the viewing platform depicting key events from Oregon’s history, such as the end of the Lewis and Clark expedition. Parking costs $5, but there is no fee to visit the park or enter the Column. Nestled along the Puget Sound with Mount Rainier looming in the background, Tacoma is a picturesque city that offers visitors plenty of things to do. Bask in the city’s vibrant creative culture by visiting some of its world-class museums, such as the Museum of Glass, the Tacoma Art Museum and LeMay – America’s Car Museum. 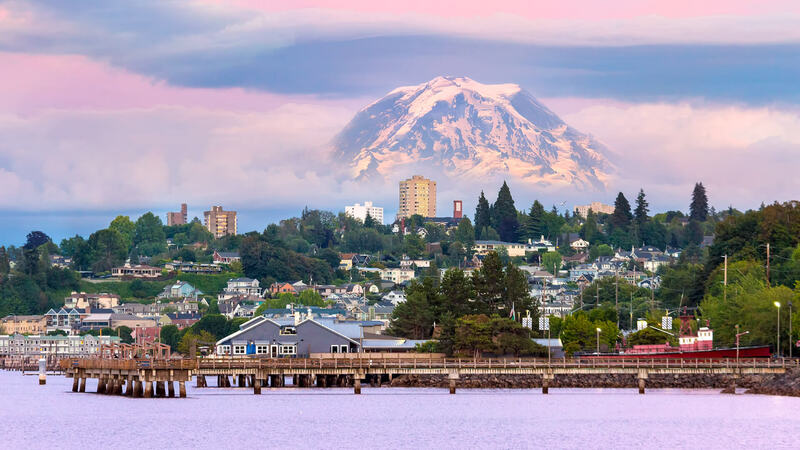 For tourists seeking a more nature-driven trip, know that Tacoma is only about an hour and a half drive from Mount Rainier National Park and Olympic National Park. 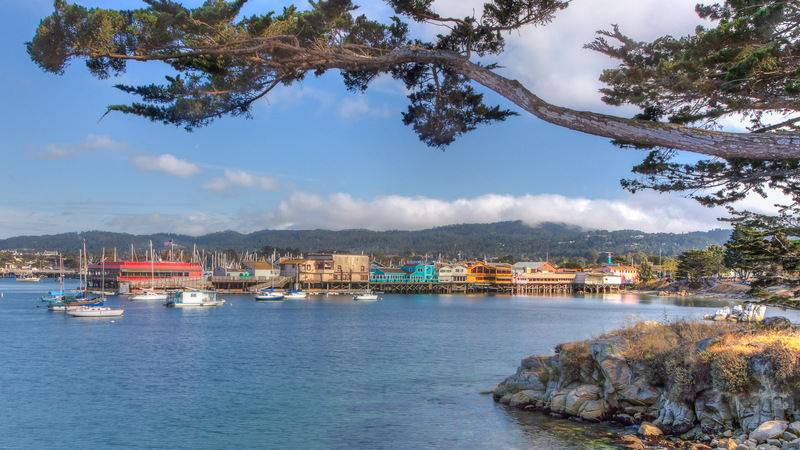 Located in California’s Central Coast right on its namesake bay, Monterey is a haven for visitors wanting an active, outdoor vacation. There are ample opportunities to kayak and paddleboard on the pristine bay, bike or hike in the Del Monte Forest or horseback ride along Pebble Beach. While there, don’t forget to take some time off to shop and dine on the city’s famous Cannery Row waterfront street. And, of course, every first-time visitor must spend at least a few hours at the famed Monterey Bay Aquarium, where a single-day adult ticket costs $49.95. Keep reading to see the best and worst U.S. vacation cities for your wallet. Methodology: For airfare, GOBankingRates used Google Flights to find the cheapest available round-trip flights departing New York City (JFK) on Friday, June 7, 2019 and returning June 14, 2019. Airfare listed is for one person. All data was compiled on April 16, 2019, and prices are accurate as of that time.